Edgar Perez, Course Director, The Speed Traders Workshop 2011: The Present and Future of High-Frequency Trading (http://www.thespeedtradersworkshop.com), will present at the 2nd Private Equity Convention Russia (CIS) & Eurasia (http://www.gdforum.co.uk/index.php?page=11&id=7), ‘invitation-only’ event exclusively designed for leading International Investors and Limited Partners (LPs) to meet the highest-quality General Partners (GPs) operating in Russia, CIS and Eurasia. Perez, author of The Speed Traders, An Insider’s Look at the New High-Frequency Trading Phenomenon That is Transforming the Investing World (http://www.thespeedtraders.com), will participate on the discussion ‘Is “Silicon Valley” Unique and Can it be Reproduced in Eurasia?’, with Yury Frantsuzov, Strategic Business Development Manager with Intel, Peter Loukianoff , Managing Partner with Almaz Capital Partners, and Dr. Jan Dauman, Director and Senior Partner, Russia with CET (Central Europe Trust). The aim of this convention – “meeting of minds” is to bring together leading names in private equity from across the largest and the most interesting continents on the planet and discuss the issues and opportunities in the private equity industry, acquire new business contacts in a relaxed and comfortable environment. Three out of four BRIC countries (Russia, India and China) are located here, plus a score of other extremely interesting emerging markets and “old economies”. The potential for growth in the private equity on this continent is immense. Some discussion groups “skewed” towards Russia and the CIS private equity industry. Nevertheless, Russia is the country that lies both in Europe and Asia and a huge market in itself. We strongly believe that the most interesting opportunities lie on the borderlines of interests, discussions and in the forging of personal relationships. 2nd Private Equity Convention Russia (CIS) & Eurasiawill be held at the stunning Sofitel London St James, located in the former home of Cox’s and King’s bank in the very heart of London, England. This sympathetically renovated building is English heritage grade II listed and now houses one of London’s most unique five-star hotels – combining traditional British design with a contemporary style that is unmistakably French. Sofitel London St James has one of the finest addresses in London, right on the corner of Pall Mall and Waterloo Place. The hotel lies in the heart of St. James’s, a prestigious and lively district of London, within walking distance of St. James’s Park and Buckingham Palace. The hotel is also less than a five minute stroll from Trafalgar Square, city centre theatres and the fabulous shopping on Regent, Piccadilly, Oxford and Bond streets. 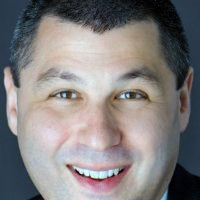 Mr. Perez, Adjunct Professor at the Polytechnic Institute of New York University, is one of the great business networkers and motivators on the lecture circuit; he is available worldwide for the following speaking engagements: Present and Future of High-Frequency Trading, The Real Story behind the “Flash Crash”, Networking for Financial Executives, and Business Networking for Success. The Present and Future of High Frequency Trading is the topic Mr. Edgar Perez, author of The Speed Traders, An Insider’s Look at the New High-Frequency Trading Phenomenon That is Transforming the Investing World (http://www.thespeedtraders.com) and Adjunct Professor at the Polytechnic Institute of New York University will present at the upcoming Middle East Hedge Funds Investors Summit 2012, January 23-24, Jumeirah Beach Hotel, Dubai, UAE. 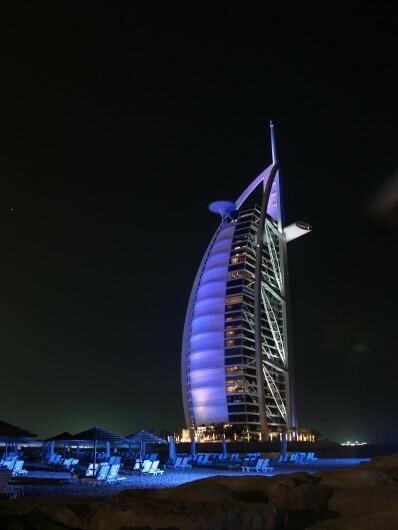 The Middle East Hedge Funds Investors Summit 2012 is the region’s premier meeting place for Middle East Institutional Investors, SWFs, Pension and Insurance Funds, HNWIs, Investment Houses and Family Offices. In an exclusive association with CNBC Arabiya, Middle East Hedge Funds Investors Summit 2012offers unique access to the region’s alternatives and hedge funds investors and an expert speaker faculty featuring Regional Investors, Economists, and Investment gurus, Wealth Managers, Strategists and Star Managers. Edgar Perez, author of The Speed Traders, An Insider’s Look at the New High-Frequency Trading Phenomenon That is Transforming the Investing World (http://www.thespeedtraders.com), will present first ever The Speed Traders Workshop 2011, “The Present and Future of High-Frequency Trading” (http://www.thespeedtradersworkshop.com), in Chicago, Sao Paulo, Singapore and Hong Kong. The Speed Traders Workshop 2011will be extremely helpful for all delegates who are working in finance and investments, from financial institutions, investment banks, hedge funds, pension funds, broker dealers, consultancy groups, prime brokers, solution providers and exchanges, who wish to gain a thorough understanding and practical knowledge of high-frequency trading. Edgar Perez, author of The Speed Traders, An Insider’s Look at the New High-Frequency Trading Phenomenon That is Transforming the Investing World (http://www.thespeedtraders.com), will present first ever The Speed Traders Workshop 2011, “The Present and Future of High-Frequency Trading” (http://www.thespeedtradersworkshop.com), in Hong Kong, Chicago, Sao Paulo and Singapore. 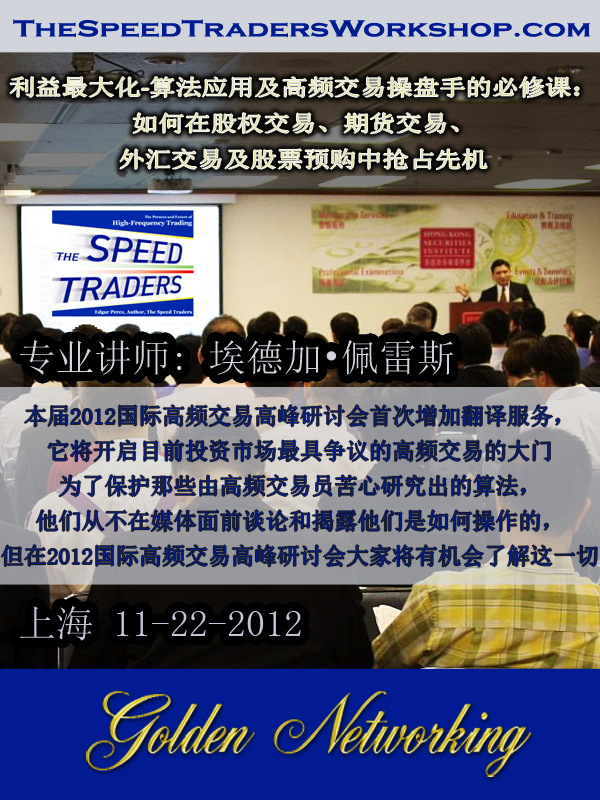 The Speed Traders Workshop 2011will be extremely helpful for all delegates who are working in finance and investments, from financial institutions, investment banks, hedge funds, pension funds, broker dealers, consultancy groups, prime brokers, solution providers and exchanges, who wish to gain a thorough understanding and practical knowledge of high-frequency trading. High-frequency traders have been called many things, from masters of the universe and market pioneers to exploiters, computer geeks, and even predators. Everyone in the business of investing has an opinion of speed traders, but how many really understand how they operate? The shadow people of the investing world, today’s high-frequency traders have decidedly kept a low profile, until now. The Speed Traders Workshop 2011 opens the door to the secretive world of high-frequency trading, the most controversial form of investing today; in the name of protecting the algorithms they have spent so much time perfecting, speed traders almost never talk to the press and disclose as little as possible about how they operate. Mr. Narang, one of the leading high-frequency traders featured in Edgar Perez’s The Speed Traders: An Insider’s Look at the New High-Frequency Trading Phenomenon That is Transforming the Investing World, founded Tradeworx in 1999 with the goal to democratize the role of advanced technology in the financial markets. Tradeworx also operates a quantitative hedge fund business that currently manages hundreds of millions of dollars in assets, as well as an in-house proprietary trading business focused on high-frequency trading strategies. Tradeworx trades U.S. equities and will eventually expand to all other electronic markets. As most high-frequency trading firms, Tradeworx doesn’t accept external capital, because the capital requirements are very low. The main use of outside capital in the world of high-frequency trading is to fund R&D and operations, not to actually trade the capital. Mr. Lebovitz built the Algorithmic and Event Driven Trading department at Infinium Capital Management, a proprietary capital management firm with offices in Chicago, New York and London, into an exceptional force in the industry. Infinium was founded in Chicago in 2001 and built by a core team with decades of experience in trading, software development, and financial modeling. As most high-frequency trading firms, Infinium has no outside investors and only manages its own money. Infinium has a long history of partnering with exchanges to launch new products, increase participation in existing products and solve technology issues. Edgar Perez, Author, The Speed Traders: An Insider’s Look at the New High-Frequency Trading Phenomenon That is Transforming the Investing World, spoke with CNBC Cash Flow’s Oriel Morrison about the criticism high-frequency trading has experimented since it started being covered by the mainstream media; the interview is available on CNBC’s website at http://video.cnbc.com/gallery/?video=2023403523. The Speed Traders, http://www.TheSpeedTraders.com, published by McGraw-Hill Inc., is the most comprehensive, revealing work available on the most important development in trading in generations. High-frequency trading will no doubt play an ever larger role as computer technology advances and the global exchanges embrace fast electronic access. The Speed Traders explains everything there is to know about how today’s high-frequency traders make millions—one cent at a time. 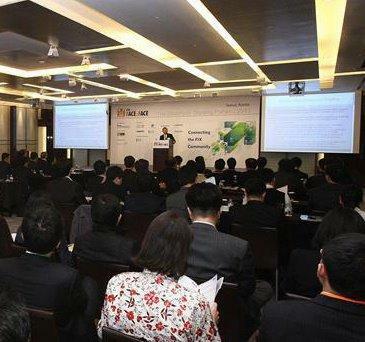 Edgar Perez, Author, The Speed Traders, presented to a packed room of almost 200 attendees at the Hong Kong Securities Institute (http://www.hksi.org/eng/membership/event/m062811ps.html), professional body that aims to raise the standards of securities and finance practitioners in Hong Kong, on The Present and Future of High-Frequency Trading. Mr. Perez described high-frequency trading as the natural progression of technology applied to the investing and trading worlds. In the process, high-frequency trading has certainly unmasked structural issues in the U.S. equity markets that are currently being examined by legislators and regulators in an effort to further strengthen financial markets. He indicated that, on balance, the impact of high-frequency trading is positive for all other market participants thanks to the increased liquidity it provides to retail and institutional investors. 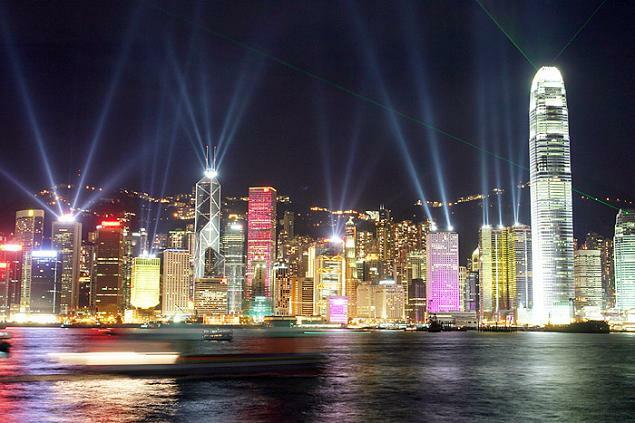 The Hong Kong Securities Institute was officially formed in December 1997 as a professional body to raise the standards of securities and finance practitioners in Hong Kong. In setting standards for professional excellence in Hong Kong, the Hong Kong Securities Institute offers a platform where individuals can gain the skills, and achieve the necessary professionalism and personal competence as they proceed towards further career advancement. The Hong Kong Securities Institute provides continuous professional development by offering comprehensive examinations and an extensive programme of training courses and events. Finance professionals benefit from Hong Kong Securities Institute membership programme which provides invaluable support and professional recognition from industry peers. 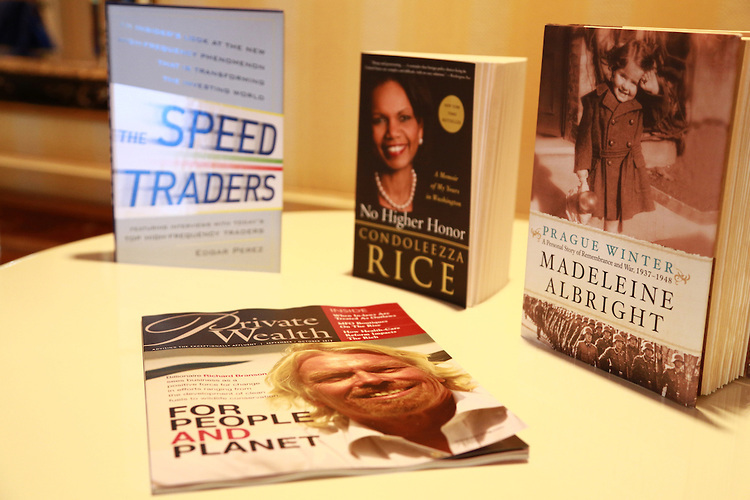 The Speed Traders, published by McGraw-Hill Inc., is the most comprehensive, revealing work available on the most important development in trading in generations. High-frequency trading will no doubt play an ever larger role as computer technology advances and the global exchanges embrace fast electronic access. The Speed Traders explains everything there is to know about how today’s high-frequency traders make millions—one cent at a time. Edgar Perez, author, The Speed Traders: An Insider’s Look at the New High-Frequency Trading Phenomenon That is Transforming the Investing World, explained in detail the role high-frequency trading has been playing in the equity markets to CNBC Cash Flow’s Oriel Morrison; the interview is available on CNBC’s website at http://video.cnbc.com/gallery/?video=2023403523. 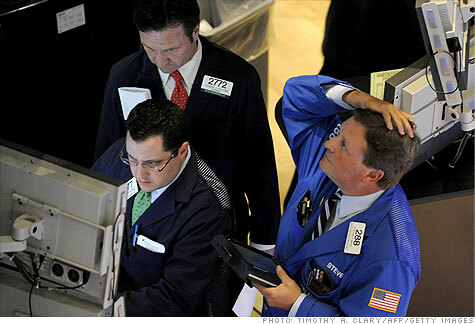 High-frequency trading, in which computers may buy and sell thousands of shares in fractions of a second, had come under criticism after the Dow Jones Industrial Average lost almost 1,000 points intraday on May 6, 2010, before recovering just as quickly. High-frequency traders replace traditional specialists in providing liquidity in a much more competitive frame work. Liquid and efficient capital markets are extremely important for economic development. While some feel that high-frequency traders spending millions of dollars on infrastructure to be a few microseconds faster than the other guy, is somehow, from a social perspective, not money “well spent”, it can be argued that this is just the way that competitive markets find equilibrium. It has lots of terminology associated with it that sounds geeky and confusing to the uninitiated: ‘microsecond’, ‘co-location’, ‘momentum ignition’, ‘temporal arbitrage’ etc. The real story behind the flash crash, the sudden decline and ultimate recovery of the U.S. financial markets on May 6, 2010, is described in unprecedented detail in The Speed Traders, An Insider’s Look at the New High-Frequency Trading Phenomenon That is Transforming the Investing World (http://www.thespeedtraders.com), book by recognized author Edgar Perez. The book explains that no matter what regulators do as part of liquidity obligations, no matter how much they force people to stay in the market, there will be times when herd like behavior among long-term investors will see them all stampeding for the exits at the same time; there simply won’t be enough high-frequency trading to cover the demand for liquidity. Liquidity crises are not driven by the lack of liquidity but by the demand for liquidity. This is why Mr. Narang thinks that it is a bit misguided on the part of regulators to try to prevent flash crashes from occurring. In order to prevent liquidity crises from occurring, regulators would need to prevent herd like behavior among long-term investors, because that’s what causes bubbles and that’s what causes liquidity crises. The New York City book launch party for “The Speed Traders, An Insider’s Look at the New High-Frequency Trading Phenomenon That is Transforming the Investing World”, by Edgar Perez, will be held on May 10th, 2011, at 6:00 p.m., at the Whiskey Blue in the W Hotel. Guests are encouraged to RSVP at http://thespeedtradersnyc.eventbrite.com. High-frequency traders have been called many things—from masters of the universe and market pioneers to exploiters, computer geeks, and even predators. Everyone in the business of investing has an opinion of speed traders, but how many really understand how they operate? The shadow people of the investing world, today’s high-frequency traders have decidedly kept a low profile—until now. In this new title, The Speed Traders, Edgar, founder of the prestigious business networking community Golden Networking (http://www.goldennetworking.net), opens the door to the secretive world of high-frequency trading (HFT). Inside, prominent figures of HFT drop their guard and speak with unprecedented candidness about their trade. Edgar begins with an overview of computerized trading, which formally began on February 8, 1971, when NASDAQ launched the world’s first electronic market with 2,500 over-the-counter stocks and which has evolved into the present-day practice of making multiple trades in a matter of microseconds. He then picks the brains of today’s top players. Manoj Narang (Tradeworx), Peter van Kleef (Lakeview Arbitrage), and Aaron Lebovitz (Infinium Capital Management) are just a few of the luminaries who decided to break their silence and speak openly to Edgar. Virtually all of the expertise available from the world of speed trading is packed into these pages. Mr. Perez is widely regarded as the pre-eminent networker in the specialized area of high-frequency trading. He is the founder of Golden Networking and host of High-Frequency Trading Happy Hour business receptions (http://www.hfthappyhour.com) in New York City, which have drawn the world’s top industry practitioners. 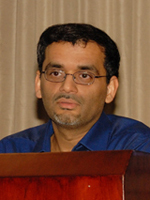 He has organized high-frequency trading forums (http://www.hftleadersforum.com) and workshops (http://www.hftexpertsworkshop.com), as well as conferences on subjects as diverse as hedge funds, derivatives, private equity, distressed investing, and China, attracting thousands of executives and professionals in the world’s major business centers. Mr. Perez has presented at Harvard Business School‘s 17th Annual Venture Capital & Private Equity Conference and at forums organized by Columbia Business School‘s Career Management Center and Alumni Club of New York. Mr. Perez was a vice president at Citigroup, a senior consultant at IBM, and a consultant at McKinsey & Co. in New York City. Mr. Perez has an undergraduate degree from Universidad Nacional de Ingeniería, Lima, Peru (1994), a Master of Administration from Universidad ESAN, Lima, Peru (1997) and a Master of Business Administration from Columbia Business School, with a dual major in Finance and Management (2002). He is a member of the Beta Gamma Sigma international honor society. Mr. Perez resides in the New York City area and is an accomplished salsa and hustle dancer.